Sets the radius for Geralt's torch from double to 5 times the vanilla radius. 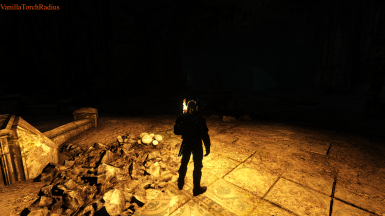 The radius for Geralt's torch was always to short in my opinion, this mod aims to fix that. This mod sets the radius for Geralt's torch from double to 5 times the vanilla radius. Going above 5 times the vanilla radius seems to have little to no effect at all for some reason. To my knowledge, this mod does not effect any other torch or light source. Choose what torch radius setting you want to use from the Files tab, and install as any other mod. QuickBms with the Withcer 3 bms script. Sarcen's Mod Editor to edit the torch.w2ent file and to pack the mod. Special thanks to DJ_Kovrik without his help on my thread on the cd projekt red forums. This mod probably would not exist.